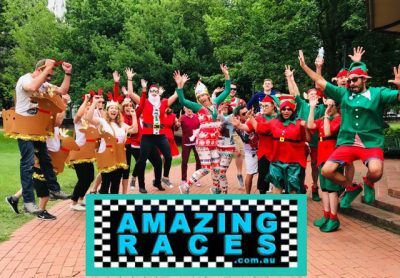 Select sensational Amazing Race Activities experiences through Sydney, The Rocks, Parramatta and exciting destinations like Blue Mountains, Hunter Valley, Gold Coast, Surfers Paradise and Brisbane. Complete a fun series of challenges and tasks. Enjoying a custom built experiences or large group events for corporate groups and business teams to be challenged, compete and win! #5 Star Wow factor professional events. Ignition start from anywhere in Sydney, The CBD to The Rocks, Botanic Gardens, Opera House, Darling Harbour, Pyrmont, Glebe or Barangaroo. From Canberra to Cairns and Byron Bay to Brisbane with extraordinary fun in Surfers Paradise on the Gold Coast. We facilitate and deliver Amazing Experiences and events in Newcastle, Hunter Valley Wineries to Port Stephens through to Coffs Harbour. From Parramatta to North Ryde, Macquarie Park, Sydney Olympic Park and from all Conference Venues. Blue Mountains in Katoomba, Leura, The Fairmont Resort, Lilianfels, Hydro Majestic and The Carrington Hotels to Blackheath and Echo Point or Scenic World. Wollongong amazing race to the Five Islands Brewery to Novotel or Sage and Sugar Cube for Belgian Chocolate Waffles! Yum!! Get adventurous in the Southern Highlands amazing race through Mittagong, historic township of Berrima, Bowral and Bundanoon. Direct from Peppers Manor House, The Gibraltar Hotel, Milton Park or Peppers Craigieburn next to Centennial Winery. Thrill has the most amazing fun corporate events challenges covered. Ensuring amazing quality team building activities for business teams and staff to participate in. Take your employees and colleagues out on a Thrilling amazing race journey that is challenging, competitive and designed to integrate staff, whilst yielding exceptional results. Get set to find out who is the most talented in your sales teams, management, office or business workplace. AMAZING CHASE FUN FACTOR RACE cost effective, short duration fun group and awesome team activities. MYSTERY MIX amazing race compilation 9-11 activities. Selected by Thrill staff to give the best value team performance between start and pitstop finish that fully engages groups! TEAM SENSATION includes 14 professionally facilitated quality team building activities. This is an exciting 100% inclusionary event ensuring collaboration, communication and cohesion between staff. EXPLORER links unique destinations in cities, towns, iconic landmarks. Just like the real amazing race television series. Include multiple transport options from Buses, Bikes, Trikes, Trains or Ferry’s. To Jet Boats, Harley’s, Horses, Hummers and Helicopters. THRILL WOW FACTOR race events experiences custom built for your team to be inspired, excited, rewarded, engaged and celebrated. Anything goes, from mild to wild for special group incentives, rewards and amazing Thrills. Car Racing, Hot Air Ballooning, Helicopters and Buggies. Enjoy engaging team building activities and events. Packed with 9-14 fun team challenges. All blended into one inclusive amazing package. – activities that are fun and involve everyone from mini olympics relay sports to minute 2 win it games and super fun hilarious interactive challenges! – art, drawing, painting, dancing or singing activities that tests the best Voice, Flash Mob, Caricatures, Crafty and rewarding elements that staff get to take home. – include the gift of giving this Easter, End Of Financial Year or Christmas Surprise where Thrill will co-contribute Toys 4 Kids and deliver them to children’s charities. 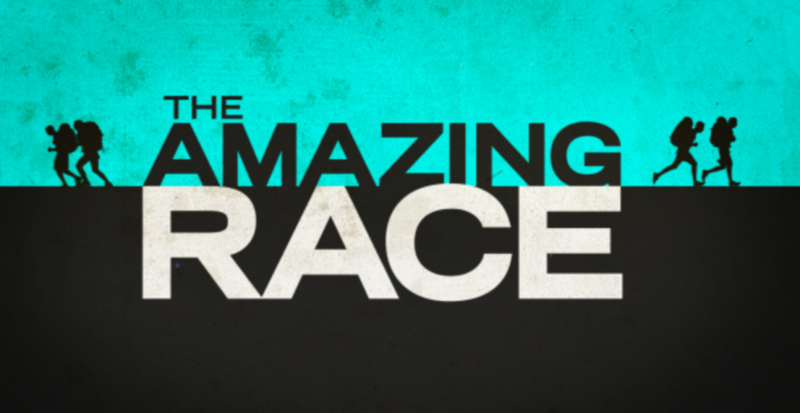 Amazing race events are available at any time day or night, in every city and from all conference venues. Start and Pitstop anywhere. Free custom built amazing races that match your location, business values and staff abilities. A magnificent way to get your corporate groups outdoors experiencing real life tasks that reveal true character and determine the winners. 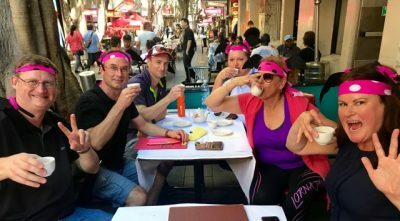 Finding the best Amazing Race activities for Team Events in Sydney, Melbourne, Gold Coast and Brisbane need not be a challenge. Thrill team events in Sydney, Melbourne, Gold Coast and Brisbane has your answers. Providing only excellent quality events that are tried and tested over 2,000+ amazing races. With 24 years of event planning and experiences. Bringing out the best rewards for your staff. Phone Sydney Head Office 02 9630 2222 now for Free Offers! * For your free Engraved Christmas event Championship Perpetual Trophy, Event Photography and Prizes to be included in your amazing experience. Look forward to seeing your team this Work Party End of Financial Year Celebration. MOST POPULAR Amazing Race: Sydney The Rocks - Circular Quay - Botanic Gardens. DURATION: 2 - 4 hours or Custom Built times to suit your requirements. GROUPS - VENUES: 10 - 1,000's of players. Indoors - Outdoors - Everywhere!